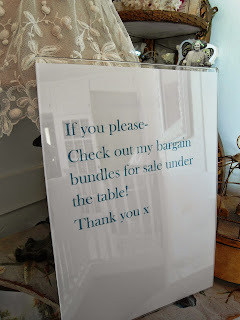 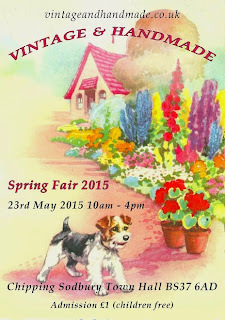 Final bits have been sorted for Saturday's upcoming Vintage & Handmade Spring Fair at Chipping Sodbury. 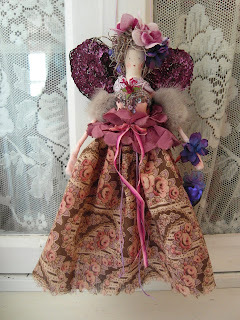 I've even found some time to get creative - I haven't made a fairy gal for a while now. 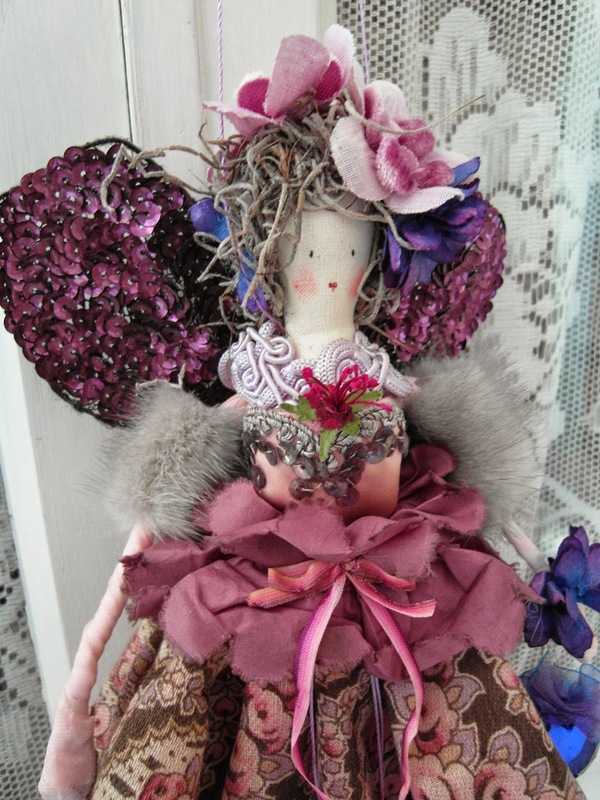 and have come up with flower fairy Aubretia to welcome spring to my stall. 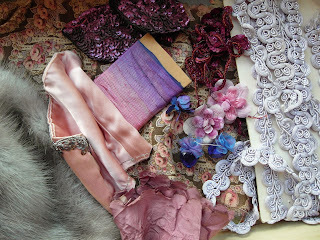 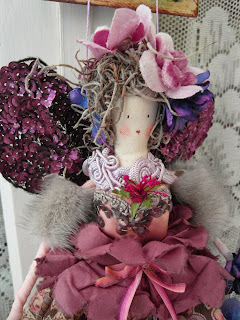 She's dressed in violets and apple blossoms and has shimmery sequinned wings made from old French dress trims. 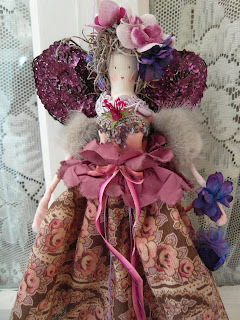 My stall will be packed full of her other fairy friends and some special springtime goodies too. 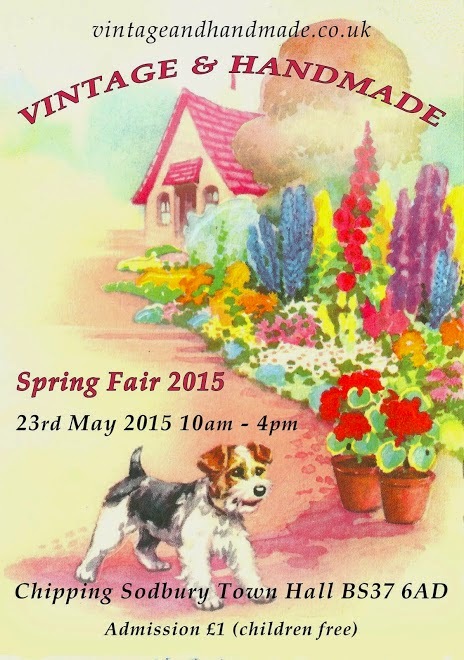 A warm welcome awaits at this lovely fair - Hope to see you there. 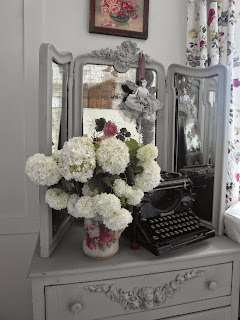 - Love those snowballs in May! 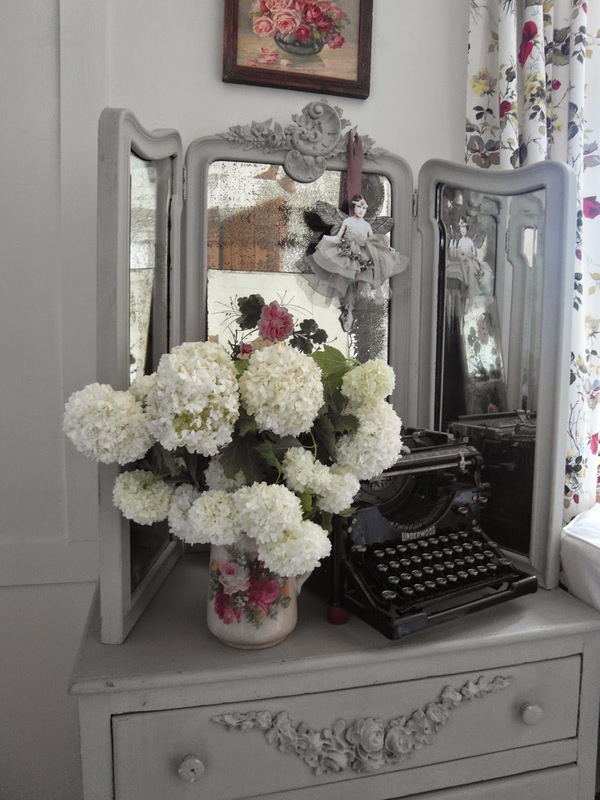 Wishing you a lovely day at your fair,how I wish I lived nearer and also had the day off tomorrow!,love the pom poms and the delightful jug they are displayed in.,Bye for now Pam.